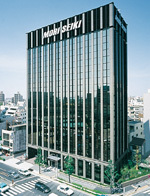 Established MORI SEIKI (SHANGHAI) CO., LTD. Established MORI SEIKI SALES AND SERVICE CO., LTD. Established DMG MORI WASINO, LTD.